The company that makes this bracelet, Caputo & Co, blends North American and Central American styles to create really cool, leather bracelets. Gives off a well-traveled yet sophisticated look which can be really tough to pull off, but Caputo & Co does it real well. 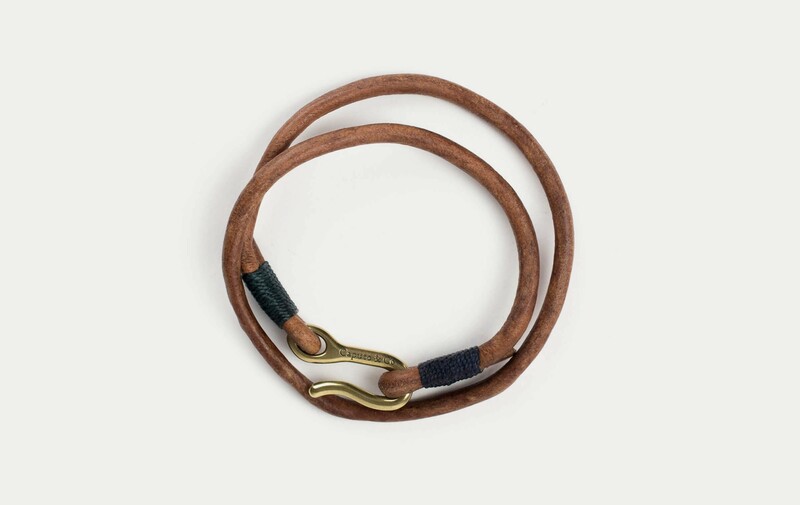 Vegetable dye leather, nylon waxed cord and brass hardware. Made in Guatemala in collaboration with non profit Comunidades de la Tierra.